covered all over with sharp spines. The Indonesians love the stuff. similar manner to potato chips. and thereby prove our manliness. So, naturally, we all tried some. upon giving the durian a go. had a good laugh at our expense. 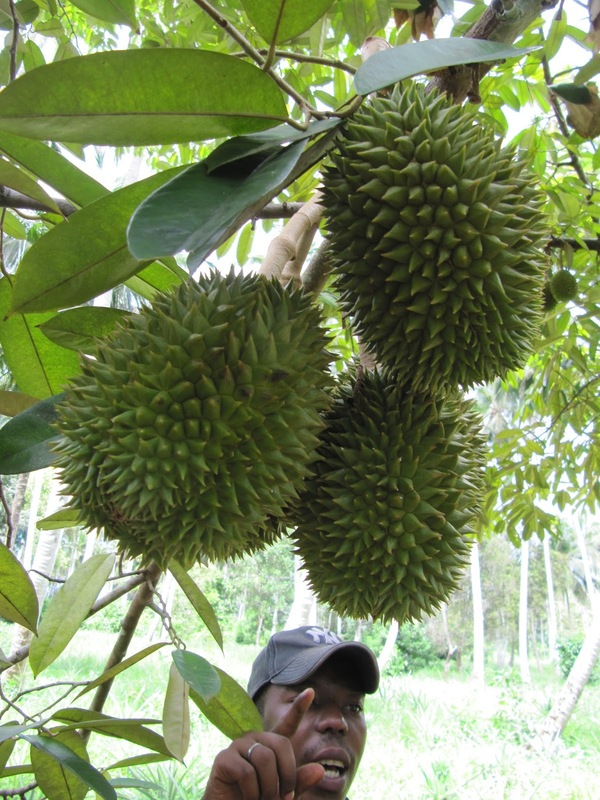 Poet's Notes: "Durian" is a poem from my unpublished collection A Wave of Poetry inspired by my small role in support of the international relief effort in the aftermath of the terrible tsunami that struck Indonesia and Thailand 26 December 2004. A USAF flight surgeon at the time, I was one of a small contingent of USAF personnel deployed forward into Indonesia. I was the only medical support attached to a small Tanker/Airlift Control Element (TALCE), which was responsible for maintaining an airfield in austere conditions for use in the collection and distribution of vital relief supplies for the Indonesians. I kept a careful diary during my deployment in support of what came to be known as OPERATION UNIFIED ASSISTANCE and so, nearly a decade later, when I finally decided to write a memoir of those events, I was able to recount my experiences in some detail--and since I am a poet, I did so in poetry. Unlike a standard prose memoir, I had hoped that my poetic one would not only document the events that occurred but would, in addition, evoke images and emotions in a way that only poetry is able to do. Still in search of a publisher for the entire collection, I am pleased to share this part of it with the readers of Songs of Eretz.